StayLinked is proud to work with AML in helping customers in their migration to Android. AML recently introduced their newest Android product, the Scepter Enterprise Mobile Computer and is pleased to announce that the Scepter has now been certified by StayLinked. The Android-powered mobile computer features Android™ 6.0, an impressive 5” color display with a capacitive touchscreen, and a full alphanumeric keypad. 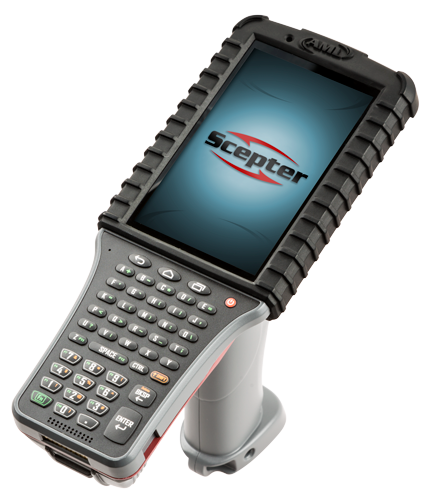 Ideal for manufacturing, warehouse and supply chain applications, the certification by StayLinked makes it easier than ever to deploy the Scepter into the workplace.